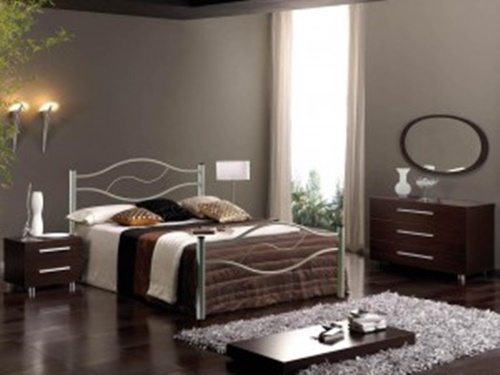 Your bedroom is the place where you will spend nearly half of the rest of your life; so, you will need to design every piece of the room carefully. 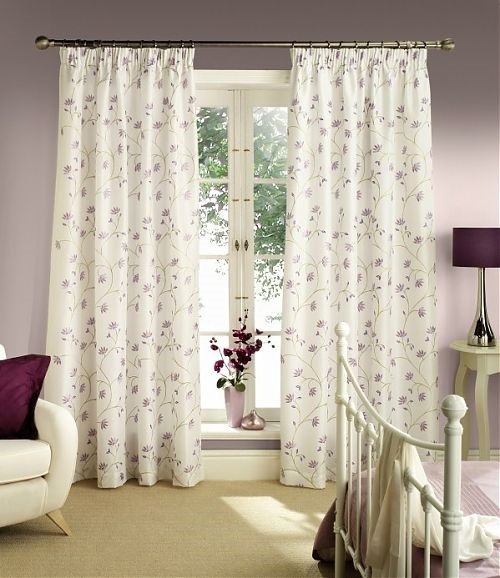 Your bedroom window curtain will help you set the right mood and create a sense of harmony into the room. 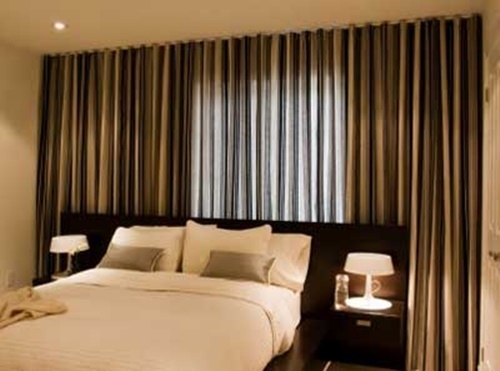 In addition, curtains are responsible for controlling the amount of light entering the room to help you relax and sleep deeply. 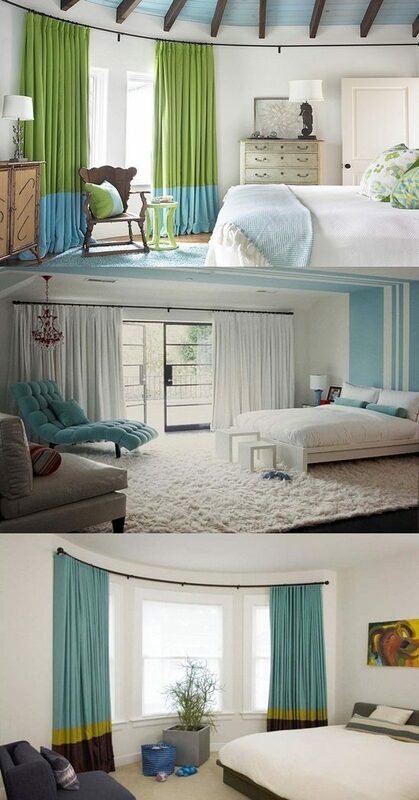 The color of your bedroom’s curtain should be suitable to the size, style and design of the room. 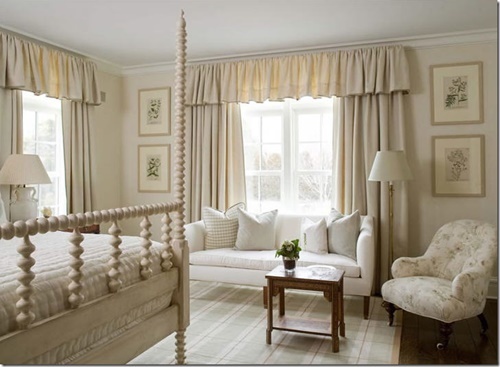 If you have a large room, you can use a patterned or contrasted colored curtain to create a dramatic and warm feel into the room. 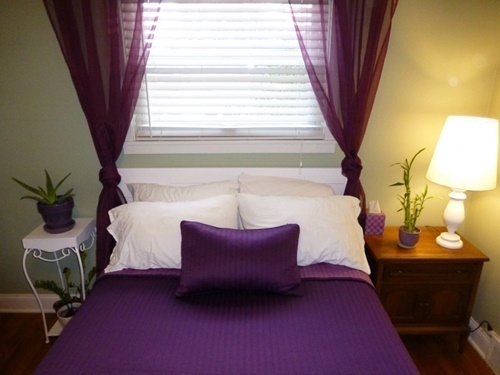 However, the small bedrooms will need complementary shades of the same colors used in the room. 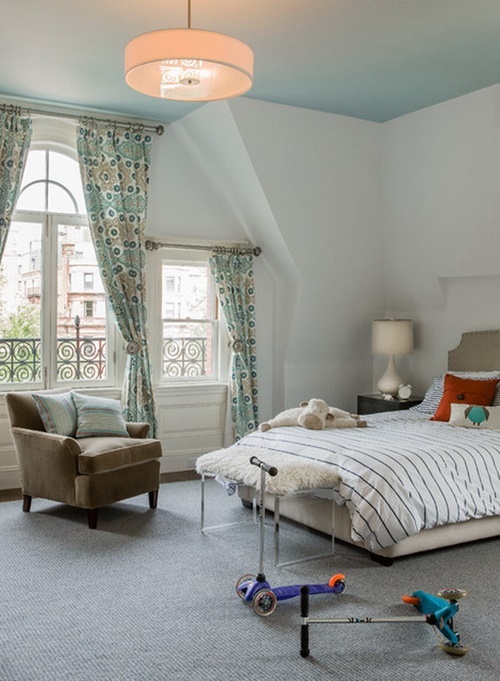 You can use these contrasted colors in the modern bedroom, but the classic room will look harmonized using one matching color. 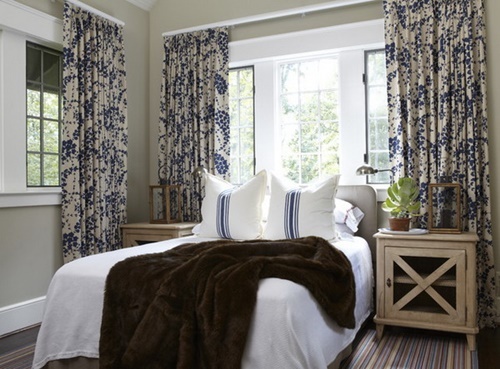 You can use printed curtains to go with your country styled bedroom. 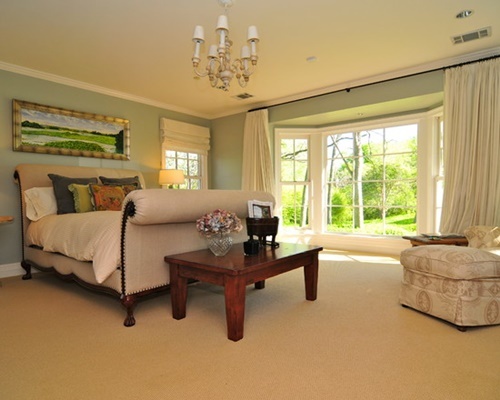 You should take into consideration the temperature of the room to choose the right color. 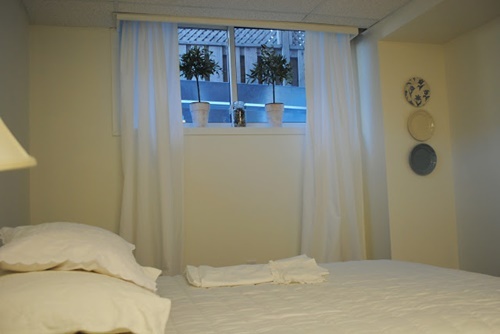 The northern room that faces the sun will need a light colored curtain to reduce the heat coming to the room, and the cold room will need dark and warm colored curtains. 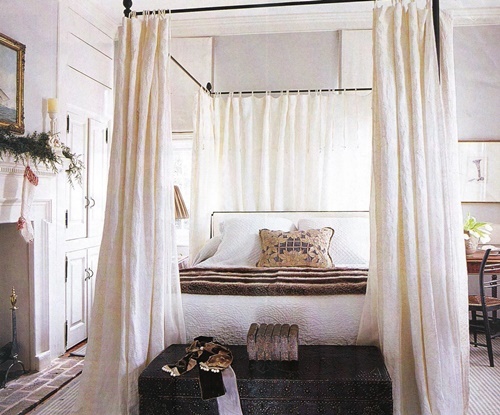 The plain colored curtain will create a suitable atmosphere for relaxation. 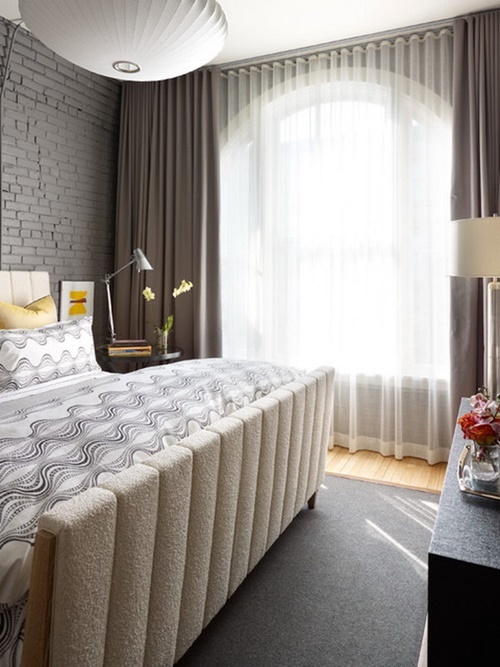 If you are accustomed to sleep during the day, you can paint the walls semi-dark colors with matching or slightly lighter curtains to block the light and the sunrays. 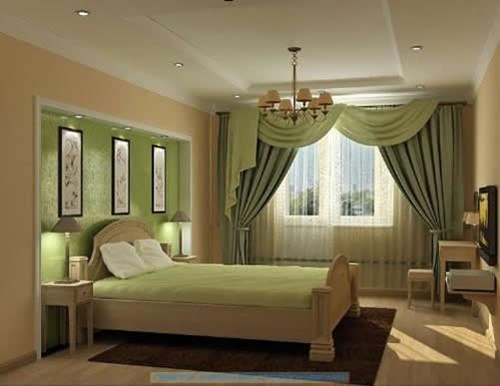 The shape of your bedroom curtain will depend on the design of the window. 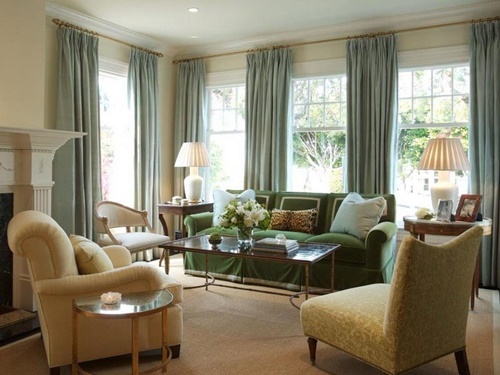 Your simple rectangular window may need a single colored and one piece curtain; while the arched large window will need several and special pieces of curtains to cover the curved areas. 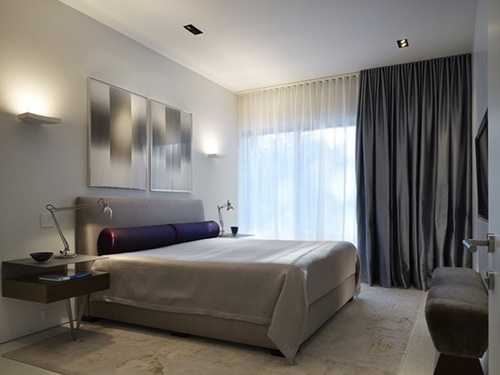 This large window will look great with a layer of transparent silk curtain and dark curtains to block the light at the morning and let the sun rays refresh the room during the day. What is 3 times 3?